Forty years ago, in 1975, Steven Kerr published a now infamous paper in the field of organizational behavior entitled "On the Folly of Rewarding for A, While Hoping for B." The article drew attention to the fact that reward systems in organizations are often well-intended but misguided in that "behaviors which are rewarded are those which the rewarder is trying to discourage, while the behavior he desires is not being rewarded at all." Tragically, over forty years later, the same unfortunate quality can be ascribed to the now burgeoning industry of corporate sustainability reporting and ratings. Today, there are literally hundreds of corporate sustainability and ESG (Environment, Social and Governance) rating and ranking indices. Some have achieved a high level of visibility and companies compete to be listed among the leaders on these lists, e.g. Dow Jones Sustainability Index, EIRIS Index, FTSE4Good ESG Ratings, and the Newsweek Green Rankings, to name just a few. Like their sister industry of Corporate Sustainability Reporting, most ratings systems examine criteria at the corporate or company level--energy use, water use, waste generation, and greenhouse gas emissions, along with risk management, corporate governance, human capital development, labor practices, diversity, and expenditures on CSR projects and community relations. The objective is to have a set of criteria with which to evaluate and rate all companies against each other. To be clear, these corporate sustainability ratings serve an important function and have gone a long way toward continuously improving the social and environmental performance of corporations throughout the world. But they have also inadvertently rewarded A, while hoping for B. How? In their quest to be consistent, comparable, and easily measureable, the Sustainability Raters have defaulted to quantitative metrics that can be easily aggregated and reported for the entire company. Recognizing this, companies have staffed up to ensure that they can report healthy improvements in all the key dimensions that make up the rating indices. But in so doing, we have inadvertently put most of our chips on continuous improvement in current businesses and largely forgotten about the critical importance of disruption, innovation and transformational change to corporate sustainability. Large incumbents in unsustainable industries can rack up big rating points by focusing on incremental reductions in negative impacts from current operations and making positive social contributions through improved labor practices and CSR projects. Lost in the shuffle are the harder to see and more nascent initiatives to commercialize new, sustainable technologies or develop more inclusive business models that may ultimately disrupt or even replace today's core business. Yet, it is these more transformational initiatives that hold the key to moving us toward a more sustainable world: We are, in other words, rewarding for A, while hoping for B. What can we do about it? In their book, Blue Ocean Strategy, Chan Kim and Renee Mauborgne, emphasize the strategic move (or initiative) as the key to innovation strategy, with the majority of corporate growth (and later, profits) coming from new strategic initiatives rather than from the continuing development and improvement of existing businesses. Consistent with this view, I believe that refocusing our attention on new, transformational strategic moves (or initiatives) holds the key to evaluating corporate sustainability: Rather than chasing the fantasy of rating entire corporations as to their "sustainability" let us instead shift the "unit of analysis" and spend more time understanding (and driving) new strategic initiatives within corporations focused on leapfrog, clean technology and disruptive new business models that serve and lift the poor. While we will no longer be able to rely so heavily on secondary data and a consistent set of parameters (as we have increasingly with existing Sustainability Ratings), identifying and evaluating Transformational Sustainability Initiatives (both within existing companies, and as new ventures) is more consistent with our aim to recognize and reward what we aim to create--environmentally sustainable and inclusive business for the 21st century. This is exactly the focus of our new Sustainable Entrepreneurship MBA (SEMBA) Program at the University of Vermont, where we aim to launch a new SEMBA Transformational Sustainability Award in the coming year. For a better idea of the types of high-leverage strategic initiatives that we aim to catalyze, read more about the Practicum Projects that form the backbone of the program. These include new, transformational initiatives with companies like Pepsico, Novelis, Facebook, CEMEX, Seventh Generation, Novozymes, Interface and Native Energy. Transformative change is also the aim of the Base of the Pyramid Global Network, and you will be learning more about the up-coming events and Summits associated with the BoP Global Network. Let us end the folly of Rewarding for A (incremental improvement to existing businesses) while hoping for B (transformational change to inherent sustainability and regeneration) by focusing our attention, once and for all, on the new business initiatives and strategic moves that actually have a chance of moving us toward a more sustainable world. As we witness growing inequality and accelerating environmental degradation around the world, commercial attention in the years ahead will inevitably come to focus more on breakthrough and disruptive innovations that directly confront these challenges. Increasingly, competitive advantage will hinge on innovations incubated at the base of the pyramid (BoP)—the ability to create tomorrow’s sustainable enterprises from the bottom up, by commercializing new, disruptive technologies through innovative business models focused on the underserved at the base of the world income pyramid. With this theme in mind, Enterprise for a Sustainable World (ESW) and The University of Vermont’s School of Business Administration, in collaboration with the BoP Global Network, are organizing the second BoP Global Network Summit. The event will be held July 16th and 17st, 2015 at the UVM Davis Center in Burlington, VM - USA. The 2015 Summit’s main objectives will be to provoke, discuss, and then act. This will not be your typical conference filled with talking heads and plenary presentations. Instead, the focus will be on Challenge sessions (e.g. financing, scaling, assessing impact) and action-oriented Domain sessions focused on Food & Agriculture, Materials, Inclusive Health, Housing, Mobility, Energy, and ICT. The Summit will also bring together entrepreneurs, executives, financiers, change agents, and the BoP Global Network Lab leaders representing more than 20 countries from around the world and will engage leading edge examples of bottom-up innovation from around the world, including some right here at home in the US. BoP Innovation: Where Will the Disruptive and Leapfrog Technologies Come From? Significant attention has been paid to the challenges of business model innovation, co-creation, and organizational innovation in facilitating BoP business venturing. Less attention has been paid to where the technologies and innovations that drive such ventures come from and how they might be best developed. This session focuses on the three primary sources of new technology for driving inclusive and sustainable business development and how they are best driven from the bottom up: Exponential technology, shelf technology, and grassroots/indigenous technology. Can BoP Business Logic Be Applied to the Developed World? For the past decade the primary focus has been on the challenges of building successful BoP businesses in the impoverished rural areas and megacity slums of the developing world. Comparatively little attention, however, has been paid to how innovation from the bottom up might create opportunity and better serve the growing underclass in the US, Europe and other parts of the Rich World. This session focuses on some innovative new “homegrown” models from Vermont and the US, with potential for applicability around the world. Beyond Silos: Systems Thinking for BoP Sustainability. Most BoP ventures to date have been focused on the sectors and industries that define business at the top of the pyramid: water, energy, transportation, telecommunications, food, housing, health, and education, to name just a few. Yet increasingly we see that the world’s challenges, particularly those at the base of the pyramid, do not fit neatly into traditional sectoral or industry compartments. Instead, they cross boundaries and require broader ecosystems of partners to succeed. This session focuses on the challenges and opportunities of systems thinking, boundary spanning, ecosystems and interconnections in creating and scaling BoP innovations. 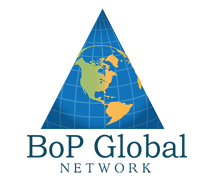 Join us in Burlington for the 2nd BoP Global Network Summit! How do profit-seeking companies listen to the Voice of the Planet? As my colleague, Sanjay Sharma and I suggest, start by drawing a clear distinction between "core" stakeholders--those visible and readily identifiable parties (like current customers and suppliers) with a stake in the firm's existing operations--and "fringe," or peripheral stakeholders. Core stakeholders encourage us only to continuously improve what we already do. Yet, answering the question of our time calls for disruptive, leapfrog innovation, which requires divergent thinking. This means reversing the traditional stakeholder management model by learning to actively engage previously excluded voices from the fringe-- the rural poor, urban slum dwellers, and advocates for nature's rights, just to name a few. As I've explained before, the dominant model of business education and entrepreneurial development is broken. 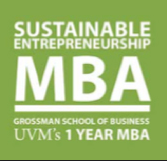 Now, I'm happy to announce that I've joined forces with the University of Vermont to create a new Sustainable Entrepreneurship MBA program (SEMBA). In essence, we're doing something about the "saddlebag" approach to sustainability that has permeated academic world for so long. Together with my colleague and friend Dean Sanjay Sharma, who I first met more than 15 years ago, we're taking action on our article, "Beyond 'Saddle Bag' Sustainability for Business Education" (Organization & Environment). It chronicles the history of how business schools have incrementally added courses in sustainability, corporate social responsibility and ethics in response to evolving societal demands. What we're doing represents a bold new venture where a major university has sought to fundamentally reinvent business education and the MBA degree by addressing the environment, ethics, entrepreneurship, poverty and inequality. Accelerated: A one year program designed to get students back out there, inventing or reinventing their BoP enterprise as soon as possible. Vermont DNA: Learn from, and develop relationships with, leaders from a master class of sustainable enterprises, including Ben & Jerry's to Burton Snowboards, Cabot, Green Mountain Coffee Roasters and Seventh Generation. Global Access: Students will enjoy access to business and entrepreneurs around the world through our connection to the BoP Global Network. 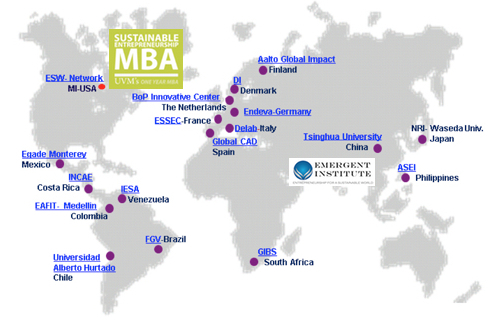 The BoP Global Network includes Enterprise for a Sustainable World, India's Emergent Institute, and the BoP Global Network - a vibrant community of academics and practitioners in 18 countries that engage in knowledge creation and dissemination about the theory and practice of creating sustainable businesses at the base of the economic pyramid. Real World Immersion: Do meaningful, high-impact work with international partners that have on-the-ground access in emerging markets and the developing world. For example you can spend your practicum experience in India working with our partner The Emergent Institute in Bangalore, India. You will also be working with the Office of Technology Commercialization to bring the latest clean technologies to market. Cutting-Edge Thinking and Practice: You'll be interacting with some of the leading thinkers and doers in the field of sustainable enterprise including professor Stuart Hart, Gustave Speth, and the Dean of the school Sanjay Sharma among others. Affordable, High-Value Investment: We're offering substantial scholarships to increase accessibility and opportunity at UVM, a school Bloomberg BusinessWeek calls "a top school for high salary grads." Our aim is to build a global, action-learning ecosystem, enabling us to develop the next generation of leaders who will build, disrupt, innovate and reinvent sustainable businesses and enterprises in a world that demands it. 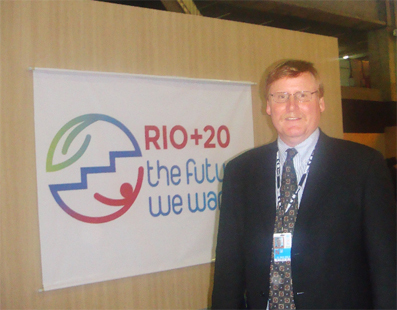 I've just returned after a full week at the Rio + 20 UN Conference on Sustainable Development. As everyone knows by now, the "main event"--the official negotiations among government leaders--was a disappointment. The general consensus among participants was that the official agreement, spelled out in agonizing detail in a document entitled "The Future We Want," would not produce the future we want. It is, at best, an exercise in rearranging the deck chairs on the Titanic. As the week wore on, it became clear to me that the so-called "side events" (organized by companies, NGOs, and consortia) had really become the main event. At the Rio + 20 Corporate Sustainability Forum, organized by the Global Compact, for example, there was an air of excitement, commitment, and resolve among the business leaders present. Statoil, the Norwegian oil giant, advocated the elimination of fossil fuel subsidies (totaling in excess of $600 billion each year), and setting a price on carbon. Bank of America made a $50 billion commitment over the next decade to renewable energy and a low carbon future. Siemens announced a corporate goal of $40 billion in sustainable technology by 2014 and stated emphatically that it's a race to save the planet--and their own future. At the Business Action for Sustainable Development (BASD) "Business Day" organized by the World Business Council for Sustainable Development, session after session focused on the importance of leapfrogging to clean technology solutions and accelerating private sector initiatives aimed at eradicating poverty. Indeed, the theme for the meeting was "Scale Up." Paul Polman, the CEO of Unilever, delivered an impassioned keynote address stating that "never before in history have we been so forewarned, and forearmed at the same time." In short, the contrast between the upbeat, well-organized side events, and the resigned, chaotic nature of the official negotiations could not have been more stark. 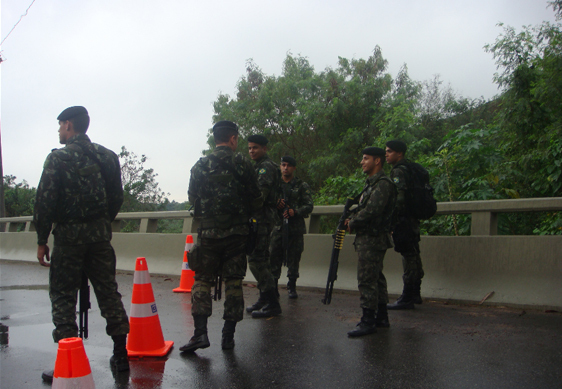 One day, while trapped in a 2- hour long traffic jam amid heavily armed but confused legions of Brazilian soldiers, it hit me: the official negotiations have really become little more than symbolic cover for the side events, where the real commitments are being negotiated. Without the burden of "main event" status, the side events were able to focus on getting things done. No protesters, traffic snarls, media circuses, or distractions. While thousands gathered in Flamengo Park to raise their voices for the legitimate concerns of the 99%, the side events proceeded at hotels in Barra without interruption--and focused on how to address the root cause of their concerns. And while hundreds of women protesters would not allow Iranian President Mahmoud Ahmadinejad to leave his hotel in downtown Rio, side event organizers were busily making things happen and getting things done. On the way back, I noticed Richard Branson was on the same plane as me. I left Rio feeling hopeful--that I had participated in something important; that there is a growing recognition that incremental greening will not deliver global sustainability; and that the leverage point for achieving this transformational change is the enterprise sector. Twenty years ago, in 1992, the first Rio Earth Summit took place in Brazil. While it was convened amid great fanfare and high expectation, the only really lasting legacy was the creation of the World Business Council of Sustainable Development (WBCSD) and the christening of "eco-efficiency"--doing more with less--as a key private-sector based strategy for sustainable development. The governmental negotiations produced a massive volume--"Agenda 21" but little concrete action. 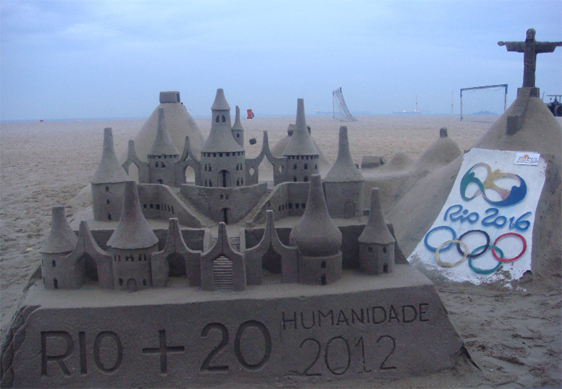 Next week, the Rio + 20 Summit will convene, again in Brazil. The past twenty years has produced some good news and some bad news. First the good news: Eco-efficiency has become standard practice in large corporations everywhere and is now spreading to the world's small and medium sized enterprises as well. This is a major accomplishment and has significantly reduced the impact per unit of output in economic activity. Now for the bad news: we have not yet begun to actually slow or reverse the level of human impact on the planet. Indeed, over the past twenty years, we have tripled the size of the global economy, added nearly two billion people to the world's population, and further intensified our ecological footprint on the planet. Growth swamped eco-efficiency. Today, the science is clear: we have overshot the carrying capacity of the planet and serious repercussions are now inevitable. In 1997, I wrote an article that appeared in the Harvard Business Review entitled Beyond Greening: Strategies for a Sustainable World. The piece won the McKinsey Award in 1997 as the best article in HBR. The article stressed that corporate eco-efficiency (greening) strategies aimed at incrementally reducing negative social and environmental impacts, while important, would not be nearly adequate to the challenge of global sustainability in the decades ahead. Even then, it was clear that "beyond greening" strategies--leapfrog clean technologies, and business models that included and lifted the four plus billion poor in the developing world--would be essential if we were to fundamentally change the course of the global economy, and set it on a course to sustainability. In the 1990s, people spoke in terms of the need for fundamental change over the next decade or two. Indeed, the title of the WBCSD's inaugural book was "Changing Course." Unfortunately, all we got was continuous improvement through eco-efficiency. As I prepare to leave for Rio next week, my hope is that this Summit can plant a new stake in the ground--the Beyond Greening Stake. I will do everything I can to drive this agenda. When Thomas Newcomen pumped water out of an English Coal Mine with a makeshift steam engine for the first time in 1722, little did he know that he was giving birth to the defining characteristic of industrial capitalism for the next two centuries--the relentless quest for greater labor productivity. By substituting coal for manpower, the English textile industry drove the industrial revolution and established the template--and "rules of the game"-- for all industrial enterprises to come. From cars to chemicals to computer chips, the very concept of "productivity" came to mean producing more product with fewer person-hours of work. This metric made sense in the 19th century, when coal (and other raw materials) were plentiful and people were relatively scarce. Now, however, exactly the reverse logic applies--fossil fuels and other raw materials are increasingly scarce and people are relatively plentiful. We now live with the paradox that increasing business productivity means fewer jobs (especially when economic growth slows), precisely at the time that we need productive employment the most. Occupy Wall Street, the Arab Spring, the corruption crisis in India, the rural revolt in China--all of these growing social protest movements originate from the same source--a growing "opportunity crisis" driven by unemployment, underemployment, alienation, and humiliation. The time has come, therefore, to overthrow the tyranny of labor productivity and graduate to a new definition for what it means to be "productive" in business. In the emerging economies of the world, this revolution has already begun. ITC in India, for example, prides itself on creating livelihoods for the poor in the rural areas as part of its strategy for wasteland reforestation and agricultural productivity improvement. Indeed, as commodity costs rise, it may make sense to redefine productivity--from capital intensity and labor efficiency to labor intensity and capital efficiency. In the 21st century, "sustainable" enterprise must define success by the extent to which they create productive and fulfilling employment for the people of the world. 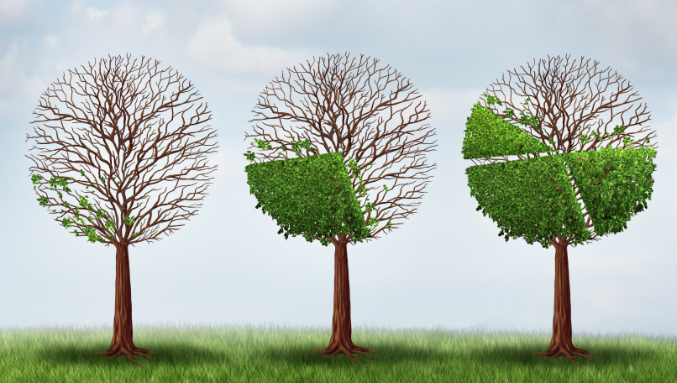 Is business up the challenge? I’m Stuart L. Hart, a leading authority on the implications of environment and poverty for business strategy. This blog will be a place for me to update you on some of my newest insights - based on the work I’m doing to help businesses take the Green Leap. A few years ago, I defined the concept of sustainable value; my work includes over 70 academic papers and several books. Capitalism at the Crossroads, published in 2005, was selected by Cambridge University as one of the 50 top books on sustainability of all-time; the third edition of the book was published in 2010. I present new strategies for identifying sustainable products, technologies, and business models that will drive urgently needed growth and help solve social and environmental problems at the same time. I also argue that corporations are the only entities in the world today with the technology, resources, capacity, and global reach required. Beyond Greening: Strategies for a Sustainable World won the 1997 McKinsey Award for Best Article in Harvard Business Review and helped launch the movement for corporate sustainability. With C.K. Prahalad, I wrote the path-breaking article: The Fortune at the Bottom of the Pyramid which provided the first articulation of how business could profitably serve the needs of the four billion poor in the developing world. Market Creation is the previous category. Pollution Prevention is the next category. © 2011, Stuart L. Hart. All Rights Reserved.